Colombia is an exciting and diverse destination. If you’re a traveller who loves adventure, welcoming people, beautiful scenery and affordability, then Colombia is for you. 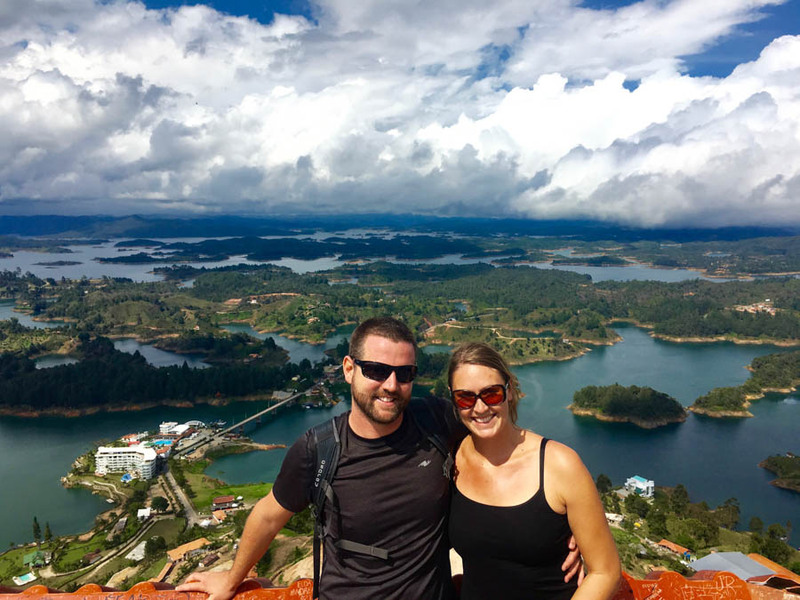 We fell in love with this South American country after 6 weeks of travelling here. There are so many things to do in Colombia that we could have stayed much longer. 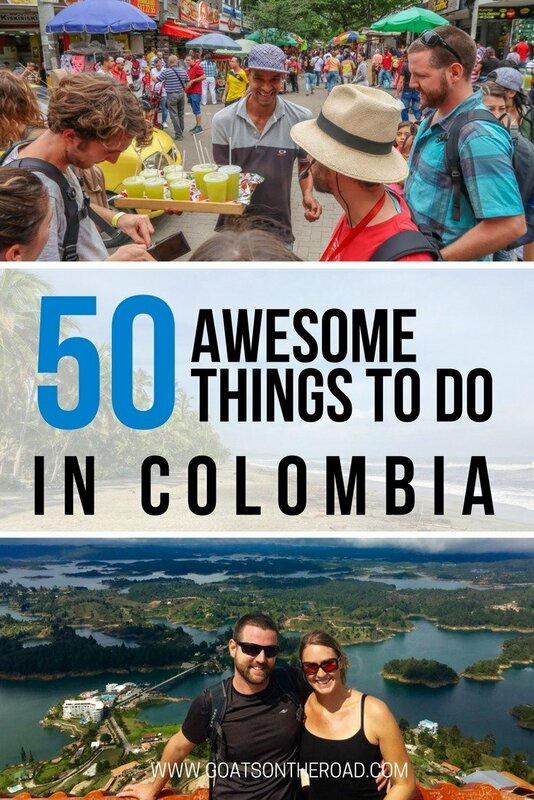 Read on for our top 50 things to do in Colombia – including sights, activities and foods! The Ciudad de Perdida (the Lost City) is located deep in the jungle of the Sierra Mountains. The point of the 4 day trek is to reach the fascinating, hidden ruins that were built in 850AD by the Tayrona people. The 4 day journey is epic. Be prepared to sleep on bunk beds, trek through the mud and cross rivers. This is an adventure you’ll never forget. Of all of the things to do in Colombia, this was our favourite. Colombians are very friendly and welcoming! Traveling to Colombia is fantastic, but planning a safe and fun trip can still be stressful. ViaHero makes traveling worry-free by pairing you with a Colombian local who plans your trip *and* provides 24/7 phone support. 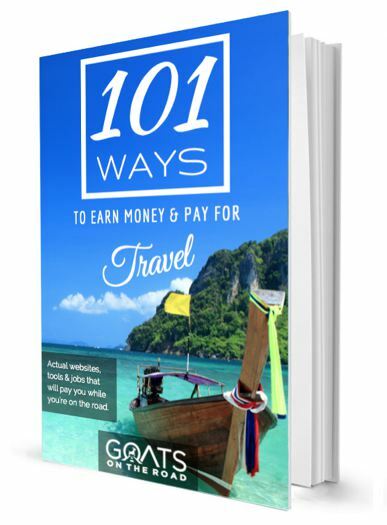 Click here to learn more about this unique service! The islands off the Caribbean coast of Colombia are gorgeous. When you’re in Cartagena, you’ll be offered a trip to Playa Blanca (white beach). Although beautiful, and popular for good reason, this beach is busy with day trippers. 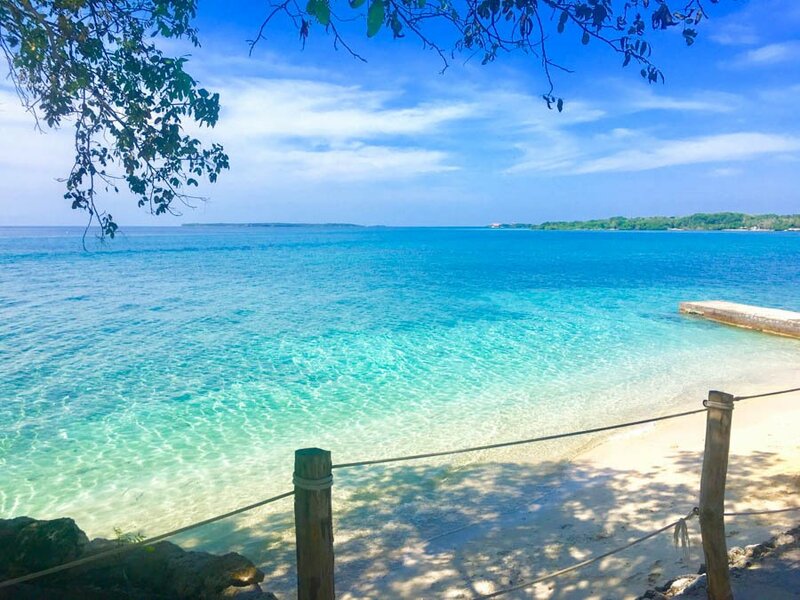 For a more authentic trip consider one of the islands in the Rosario Archipelago or the San Bernardo Archipelago – Isla Grande, Isla Múcura, or Isla Tintipan…to name a few. If you’re interested in checking out Playa Blanca (White Beach), click here for tour details. Throughout the country, you’ll hear music playing. There are numerous night clubs where you can bust a move. 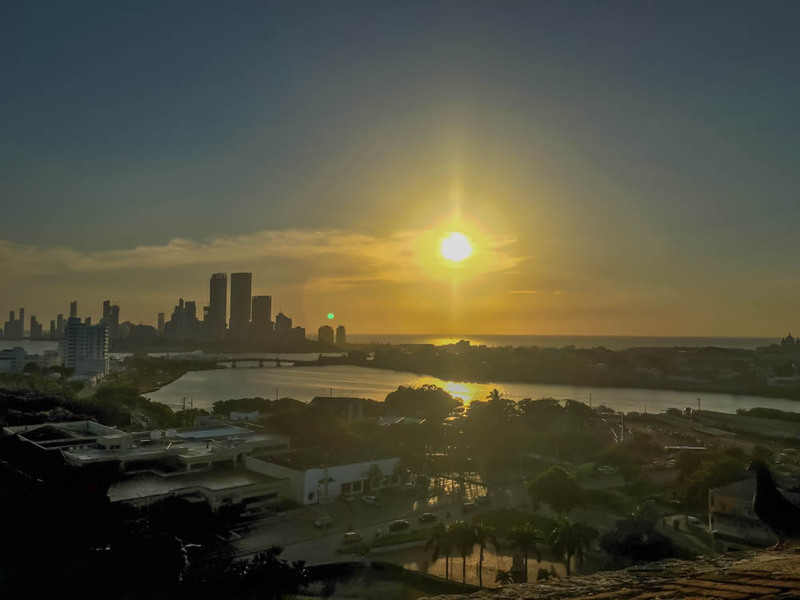 The city of Cali is the salsa capital of the world, while in Cartagena you’ll find a mix between salsa, Afro-Caribbean drum beats, and Cumbia. You’ll also come across American music, rock and pop. The genre of music you’ll encounter in Colombia depends on which region you are in. If you have a chance to watch some professional salsa dancers, do it! If you’re going to travel to Colombia, you had better brush up on your Spanish-speaking abilities! Not many people in this country speak English, so having at least the basics of Spanish is a must. 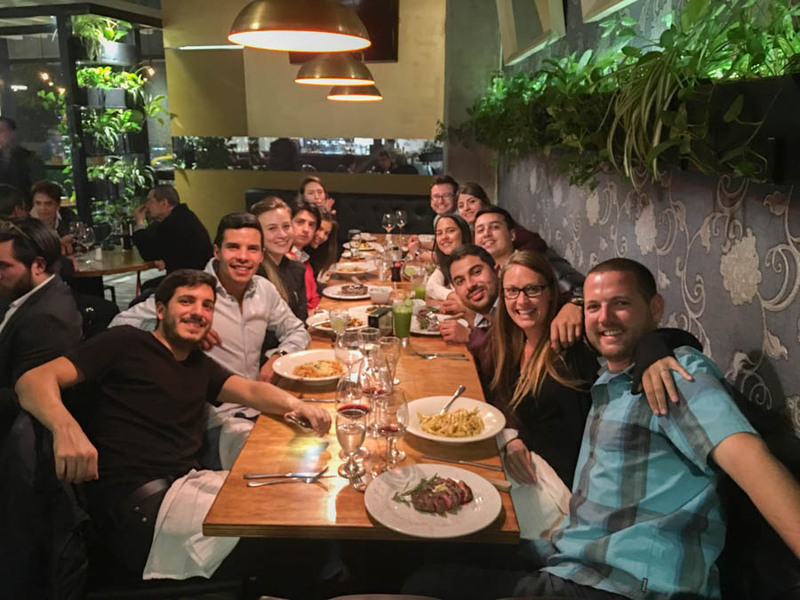 There are some excellent schools you can attend in Medellín, Bogotá and Cartagena. The Toucan Spanish School is highly recommended. Learning to speak some Spanish is one of the most important things to do in Colombia. Surrounding the town of Salento in the coffee department of Quíndio, you’ll find the picturesque Valle de Cocora. This area is special because the national tree of Colombia (Wax Palm) grows here. Dotting the landscape are these cartoon-like, 60m high trees. 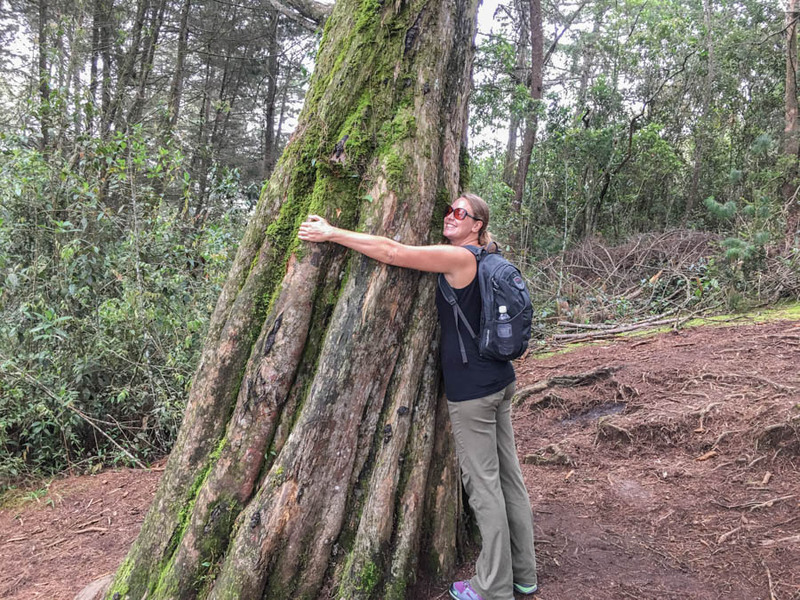 A five-hour hike through the cloud forest is one of the top things to do in Colombia as a whole, and especially in Salento. Colombian coffee is world-renowned, so it would be a shame if you travelled to Colombia and didn’t learn about the process, from bean to cup. You can find coffee tours and farms in the “Coffee Triangle” of Quindío, Caldas and Risaralda. A popular area for travellers who are interested in coffee is Salento in the Quindío department. Tours are very cheap (10,000 pesos) and the scenery is lovely. Check out Ocaso Farm and Don Elias. The Chicamocha Canyon is located in the Santander Department, about an hour’s drive outside of San Gil. This is one of the best places to go paragliding in the country. The canyon is one of the largest in the world and the scenery is outstanding. Check out Parapente Chicamocha who offer 30+ minute flights for 170,000 pesos ($55). 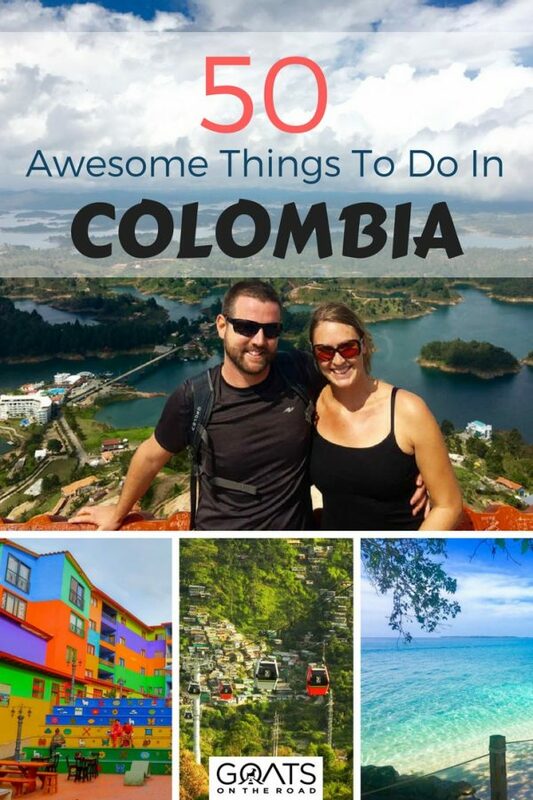 This is one of the most adventurous things to do in Colombia for sure! The traditional dish of the Paisa region of Colombia and the Antioquia Department is bandeja paisa. 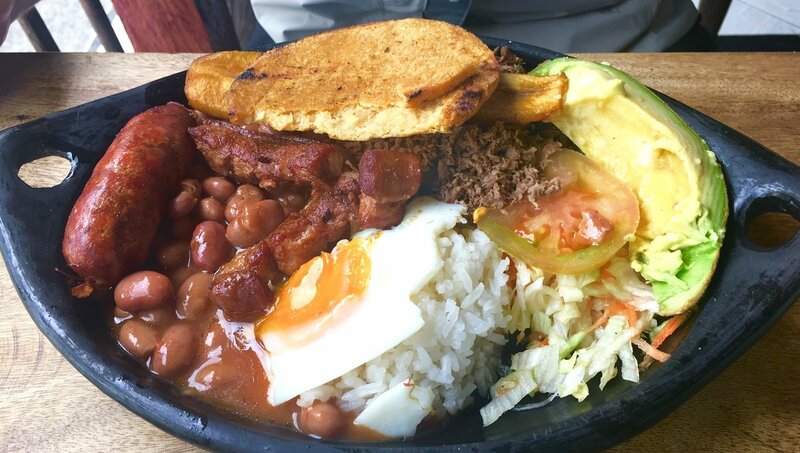 This massive platter of food consists of fried egg, sausages, ground beef, pork belly, beans, plantain, rice, avocado and arepa (made from ground corn). This huge plate of food will run you around $16,000 pesos ($5), and can be shared between 2 people. If there’s one thing Colombians love, it’s football! They are incredibly passionate about the team they are rooting for. 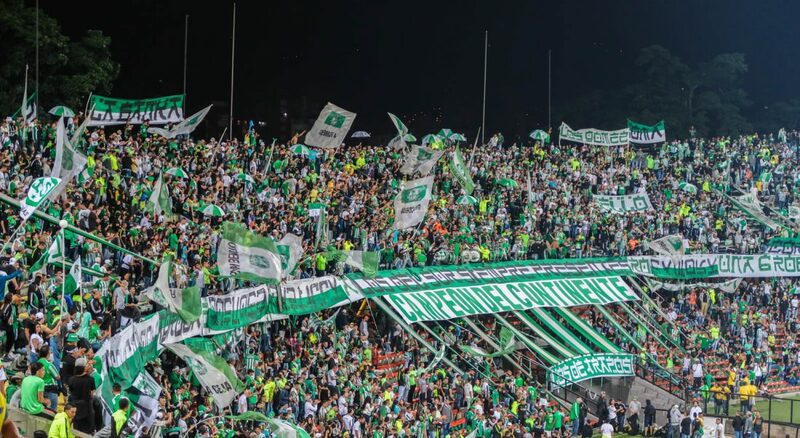 Check out games in Medellín or Bogotá, and make sure you sit close to the rowdy fans, but not directly in their section. 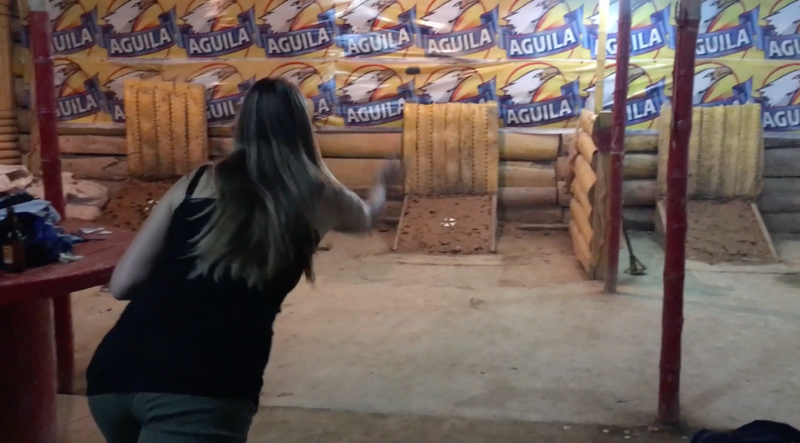 This is probably one of the craziest things to do in Colombia, it’s so much fun. Oh ya, Colombians are passionate about football! Tejo is a traditional sport in Colombia that originated in the Pre-Columbian era (the time before European influence in Colombia). You’ll find tejo halls in smaller towns and in the big cities as well. Basically, you toss a lead disc (underhand) towards a mound of clay which has little packets of gunpowder. If the packets explode, you score some points. This game is played with beer…lots of beer. There are two places to play in Salento – Los Amigos and Betatown, with the former being the most local. There are free walking tours all around the world, which are run by young, passionate locals who are interested in sharing their city with you. 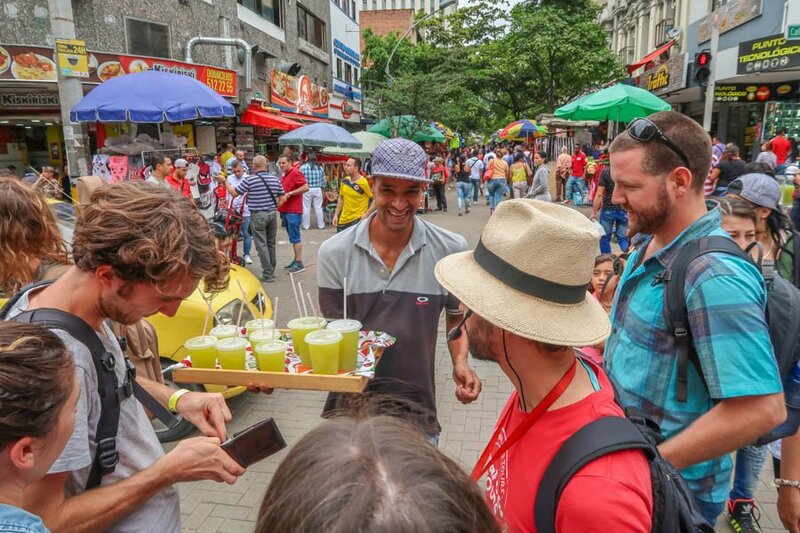 In Colombia, the walking tours in Medellín, Cartagena and Bogotá are a great way to get situated in the city, learn about the history, and hear about some great spots to eat, dance and visit! 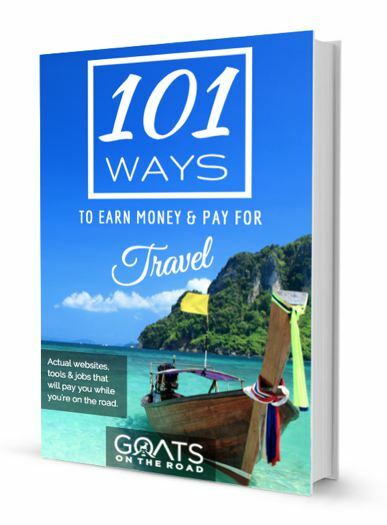 The tours are based on tips, so if you’re happy with the tour, a tip is expected. There are many things to do in Medellin, but you should do this when you first arrive. 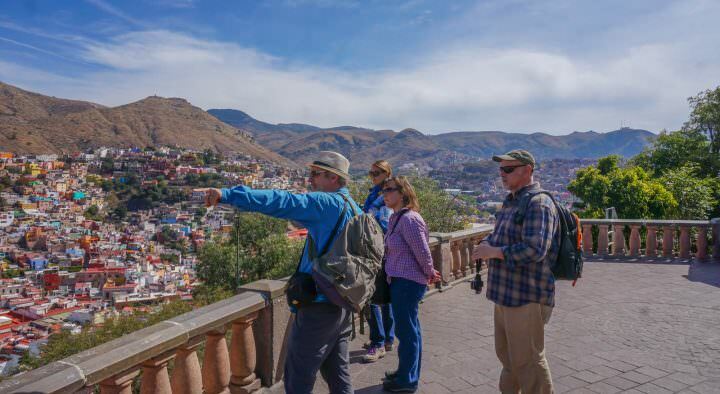 *Note, these are large group walking tours and you must make your way to the starting point. For a private city tour which includes pick-up, click here. 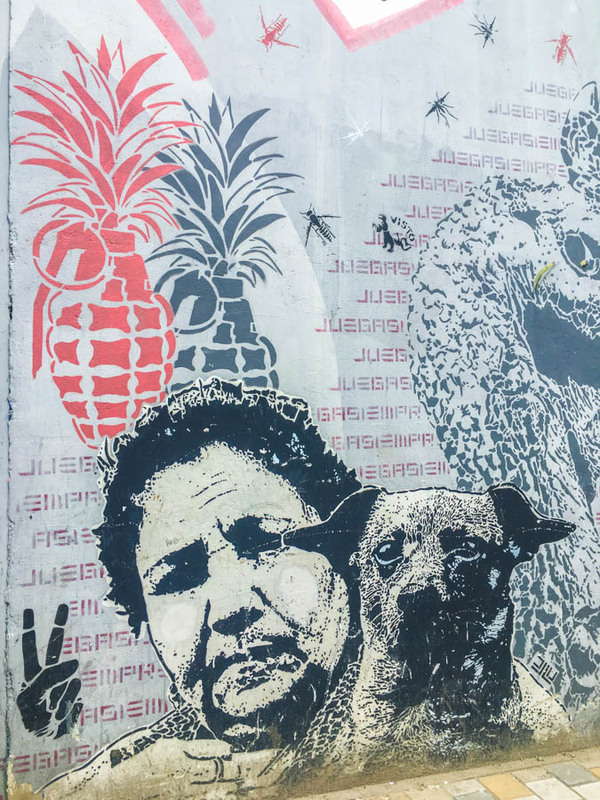 The street art in Colombia is amazing, and in particular, the art in the capital of Bogotá. Whether or not street art is legal in Bogotá is a bit of a grey area, but regardless, the murals and politically charged creations on the buildings around the old town are beautiful. Check out the free graffiti tour, which is based on tips. Pineapples looking like grenades – the pineapple industry in Colombia is destroying the land. 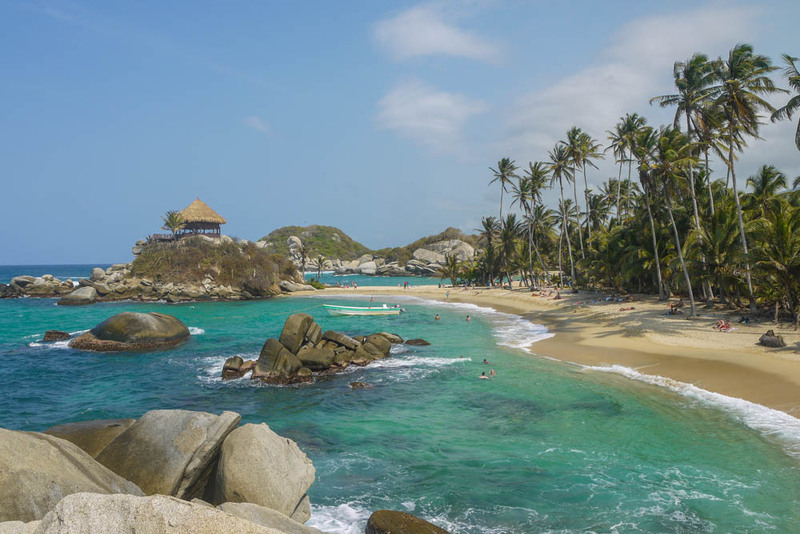 If you’re looking for a chilled-out, rustic beach destination in Colombia, don’t miss Costeño Beach. Located just outside of Tayrona National Park, this is a great spot for relaxing with a book in hand. There’s not much to do here, but that’s the point. Eat great food at the American owned Costeño Beach Hostel and Surf Lodge, stay in cute little bungalows at Tayrona Tented Lodge, and wander down the dirt paths in search of coconuts. We spent 2 nights and could have stayed longer. A visit to this offtrack beach is one of the coolest things to do in Colombia. This national park is a main highlight of a trip to Colombia. Located on the northern shores, people flock here for the hiking, swimming, and sleeping in hammocks. The popular trip is to do an overnight hike to Cabo San Juan de Guia beach and spend the night in a hammock overlooking the sea. This can be a lot of fun (weather permitting), and the scenery is spectacular. Make sure to check online to see if the park is open before you make your way out there. Bordered by both the Pacific Ocean and the Caribbean Sea, there are numerous beaches for you to laze on in Colombia. For an idyllic, typically Caribbean beach, check out Playa Blanca and the beaches in the Rosario Archipelago and San Bernardo islands. A visit to this fort is one of the top things to do in Cartagena. You’ll find this incredible fort looming over the city. Located on the Hill of San Lorenzo, this Spanish fort was built in 1536 and is very well-preserved. This is a great spot to watch the sun set! This is probably one of the most unexpected things to do in Colombia. Villa de Leyva has quite a few dinosaur fossils. Of particular interest is the Kronosaurus, a 10-metre-long marine predator which was discovered by a farmer in 1977. This million year old beast is pretty incredible! You can cycle here from Villa de Leyva, or walk, or take a taxi. During your trip to see the Kronosaurus, you may as well stop by the “Crazy House”, or Casa Terracota, which was built entirely out of clay – no other materials were used! The house was then baked in the sun to set, and there you have it, the crazy house. This mountain dominates the center of the big city of Bogotá. There’s a 17th century church at the top of the mountain (which is at an elevation of 3,152m), plus some shops and cafes. This is considered a holy spot, and was even in pre-Columbian times. To get to the top, you can hike, take the funicular, or hop on the aerial tram. If you’re looking for a cheap snack, find yourself a buñuelo. These cheesy, doughy, deep-fried balls are tasty and cheap – but not very healthy. The best ones we had were in Medellín near to Botero Plaza. 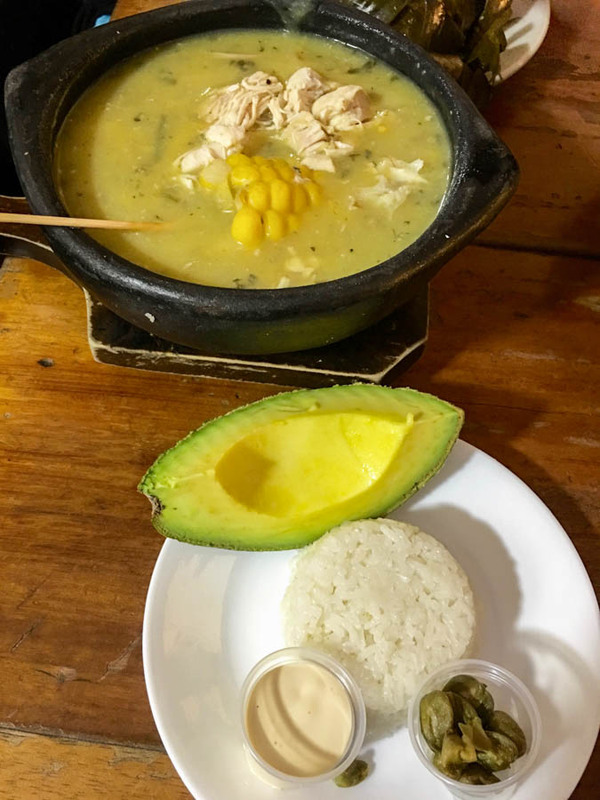 This regional specialty is made of chicken, corn and potato, with a side of avocado, rice, capers and cream. It’s hearty and delicious. The best place to try it is at Puerta Falsa in the old town of La Candalaria in Bogotá. 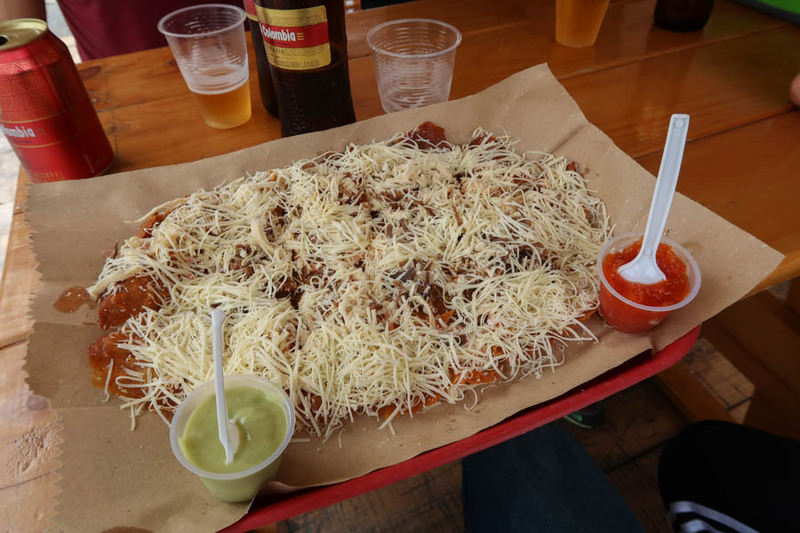 Trying authentic, regional foods is one of the best things to do in Colombia. Don’t miss this amazing soup in Bogota. Ajiaco – one of the best soups ever! The little town of Barichara is picture-perfect…and so is the hike from there to the even smaller town of Guane. The Camino Real in between these two towns takes only about 2 hours to hike, and there is one spot along the way where you can buy water, or beer. This walk is one of the most peaceful things to do in Colombia. Barichara is probably the prettiest city we ever saw during our trip to Colombia. The town offers cobblestone streets, quiet plazas, whitewashed buildings, rust-coloured tiled roofs and a relaxing vibe. There’s also a really great healthy restaurant here called Shanti! From San Gil, Barichara makes for an easy day trip. Carnival is celebrated at different times around the world, with the one in Colombia kicking off in February. The Carnival celebrations in the city of Baranquilla are not to be missed! For four days, the streets are closed and filled with folkloric dancing, parades, masquerades and all types of music. Colombia is such a diverse country, and if you have a chance to make it all the way to the southeast near the Brazilian border, go for it. 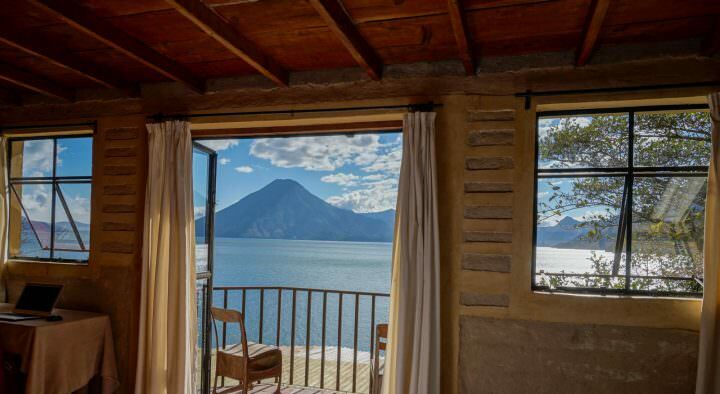 Indigenous cultures, incredible wildlife and beautiful landscapes are just some of the things you’ll find. Did you know that there’s an underground Roman Catholic church in Colombia? Neither did we. Located outside of Bogotá, 200 meters underground in the tunnels of a salt mine is this church, which is a popular tourist destination and pilgrimage site. Click here to learn more and to book your tour to this impressive site. Located in the town of El Peñol, on the border with Guatapé, is this massive granite rock. Hike up the 740 steps for fantastic views from the top. There are a couple of restaurants here and some drinks for sale. This hike is one of the most popular things to do in Colombia, as many people venture here on a day trip from Medellin. It’s possible to take public transport to Guatape from Medellin. But for those who want a simpler way, check out the day trip below, which is run by Tours Guatape who have a 4.5 star rating on TripAdvisor. Chocolate con queso is exactly what it sounds like – chocolate with cheese. 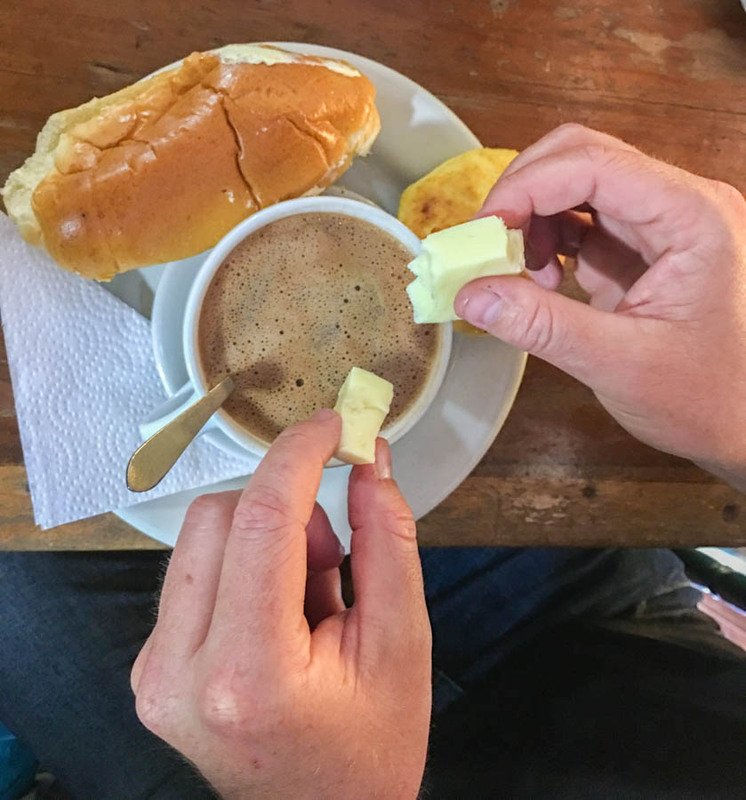 People from Bogotá love having hot chocolate with bits of cheese on the side. Basically, you submerge the pieces of cheese into the hot chocolate and once melted, you drink it. An odd, but delicious combination. Breaking up some cheese for the Chocolate con Queso! The people of Medellín are very proud of their gondola (metro cable), and so they should be. Before 2004, those who lived outside of the center of the city, in the less developed neighbourhoods, had to spend 2.5 hours commuting to work. Regular buses and the metroline couldn’t reach them up on the hill. So, the government created the metro cable, which has really improved the quality of life for these people. 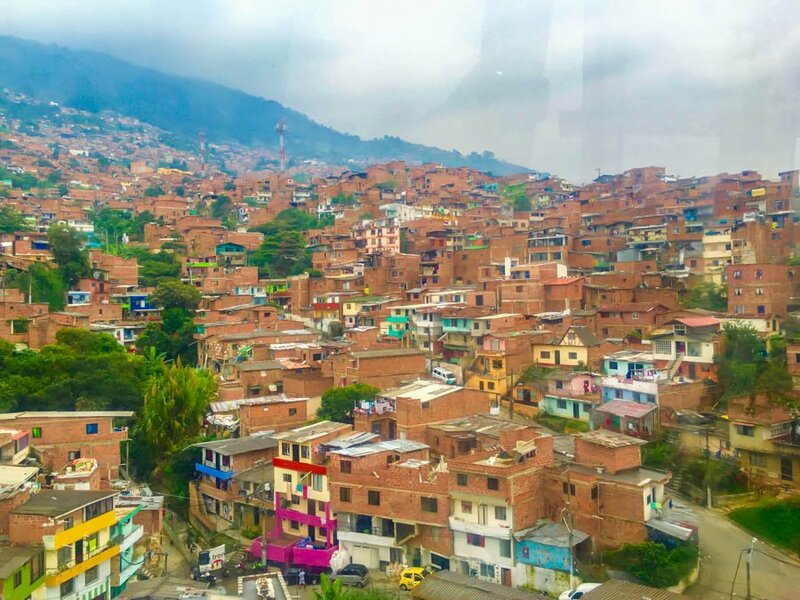 As a tourist, riding the metro cable is a great way to see some of the other barrios around Medellín. The famous Colombian artist and sculptor, Fernando Botero, is known for his “fat” pieces of art. Basically, he makes everything look bigger than it really is – especially people. 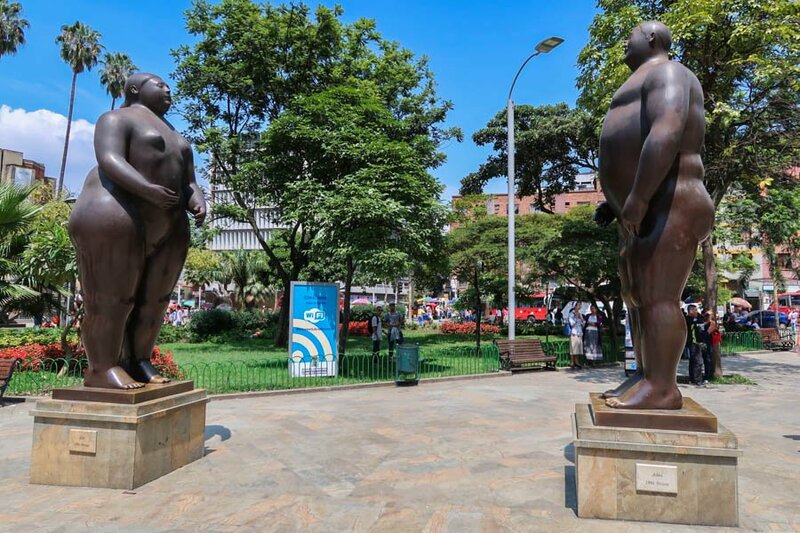 Check out a bunch of his sculptures around Plaza Botero in Medellín…which is also a great place to people watch. At the end of the Metrocable in Medellín, you’ll arrive at Parque Arví. This is a great way to escape the noise of the city and get into nature. There are some great hiking trails here and a few small restaurants. This is one of the best things to do in Medellin for sure. Get out of the city and visit Parque Arví! The famous San Blas Islands are located off the coast of Panama. But, if you’re up for an adventure, rather than visiting them during your trip to Panama, you can sail there from Colombia! There is a fast boat and a slow boat alternative. Do your research before choosing a company. Located offshore from Nicaragua are the Colombian owned islands of San Andrés and Providencia. These islands are pristine and popular for good reason. If you’re looking for an exquisite beach holiday with excellent scuba diving, make sure to check out these islands. A visit here is one of the more offtrack things to do in Colombia. For those of you who want to get certified for scuba diving, check out Taganga. If you’re already certified and want to get underwater, don’t miss San Andrés and Providencia. These islands have walls of coral, wrecks and larger marine life. Gorgona Island offers large groupers, turtles, whales and even whale sharks! 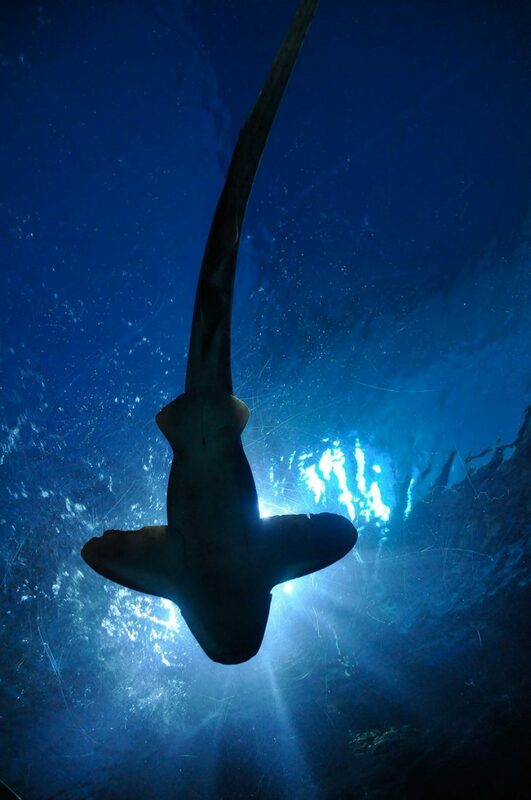 Mapelo Island is the place to go to see sharks – hammerheads, ragged tooth and sand tiger sharks, to name a few. 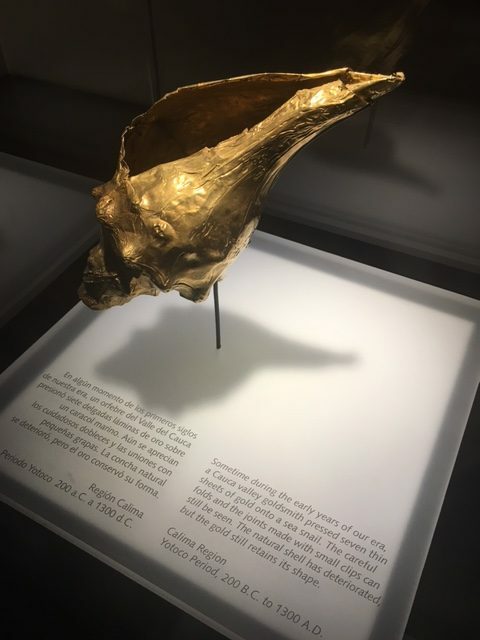 In the old town of Bogotá, you’ll find the gold museum (Museo del Oro). This is a must-visit if you are interested in pre-Colombian times. There are numerous gold and metal exhibitions, as well as pottery, stone, wood and textiles. Some of the items are even behind a vault door! The cost to enter is 3,000 pesos ($1), making it one of the cheapest things to do in Colombia! This anise flavoured liquor is the most popular in Colombia (except in the Caribbean region where rum is the top choice). The alcohol content is fairly high (24% – 29%), and it’s cheap to buy. This drink isn’t normally mixed with anything, just drank straight up. You’ll see men drinking this in small bars, and on the streets. 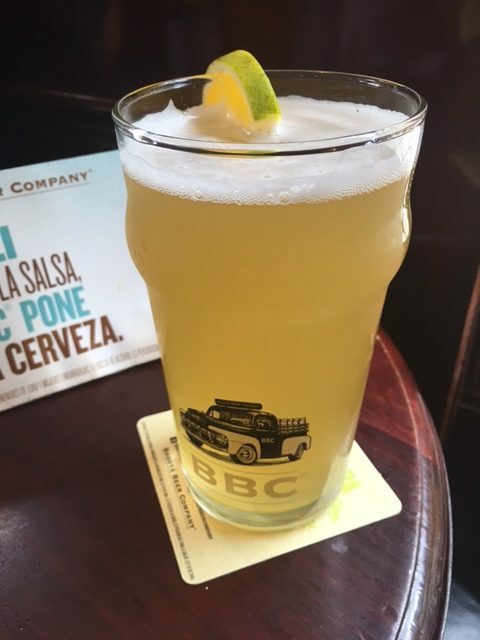 BBC Beer, or Bogotá Beer Company, is a great artisanal beer company found all around Colombia. When you’re tired of the “regular” beers on offer, check out one of their ales, lagers or wheat beers! BBC bars are found around Bogotá, and the beer itself can be found countrywide. The wheat beer is really good! If you’ve been to Havana, Cuba, your first impressions of Cartagena might be that it seems similar to Havana. 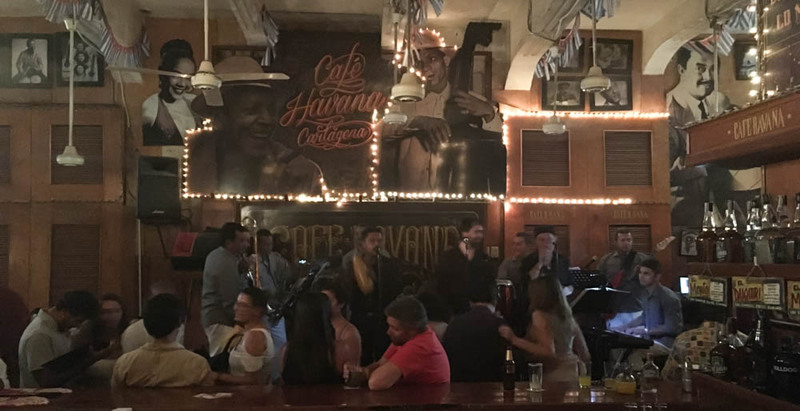 To add to that feeling, there is a Havana Bar that is great for salsa dancing and mojitos! There’s even a 9-man band playing incredible music. Don’t miss this bar in the Gestimaní area of Cartagena. SEE ALSO: Captivating Cartagena: Too Touristy, or Justifiably Popular? 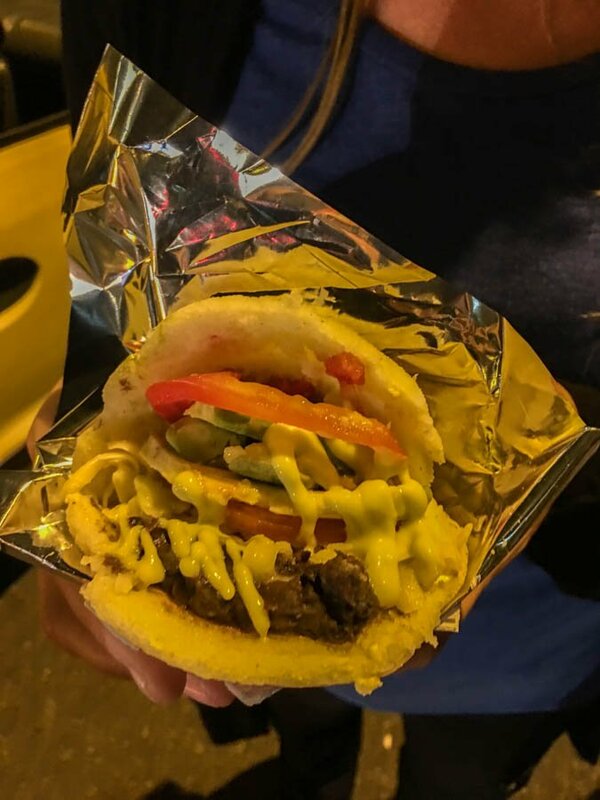 This is a Colombian and Venezuelan food that you must try at a street stall – especially after coming home from the bar. This popular snack is made from ground maize flour and can be served whole, or cut in half to make a little sandwich / pocket. Arepas are usually filled with beans, cheese, avocado, or meat. As with paragliding, there are a couple of great spots for white water rafting around San Gil. Rio Suarez is the most popular option because it’s more challenging and really gets the adrenaline pumping, but Rio Fonce is also beautiful and can be enjoyed by weaker swimmers and even children over the age of 5. This Basilica Church is unlike any other in the world. Located in the southern region of Colombia, you’ll find this church which is 100 meters from the canyon floor. Not only is the architecture amazing, but there are many legends associated with healing and the appearance of the Virgin Mary. This is a spot for tourists and pilgrims as well. Have you ever wanted to float in a mud volcano? Well, in Colombia, you can. Just 45 minutes from Cartagena is a volcano filled with mud. You cover yourself in the mud and float inside the crater. A very random experience! These are one of the best snacks / lunches in Colombia! Plantains are smashed (flattened) and fried before being topped with your choice of meat, cheese and vegetables. But, the best part is the popular hogao sauce which is made from tomatoes and onions. The best ones we had were in Salento. Yum! Nicknamed the “White City”, you’ll immediately see why when you arrive here. Most of the buildings are painted white! Popayán is also known for its churches and religious processions, as well as being a very impressive colonial town. Jardín is a beautiful coffee town and makes for an excellent day trip from the city of Medellín. You can learn about coffee, or just soak up the atmosphere of the peaceful town. But, if you’re feeling slightly more adventurous you should check out the Cave of Splendor. This cave has a waterfall inside of it and is reached after a 6 hour hike by foot, or by horse. Guatapé makes for a great day trip from Medellín. But, many people choose to spend the night here and enjoy the peace and quiet after all of the day-trippers flee the town. With colourful streets, great coffee chops, cute plazas and a chilled-out vibe, this is an excellent place to visit. The Taroa Dunes are a part of the La Gujira Desert and are located at the very northern tip of South America. This area is barely on tourist’s radar and getting here is a bit of a challenge, but one that is worth the effort. The sandy dunes tumble-down to the Caribbean Sea – the scenery is out of this world, and you truly feel like you’re somewhere in the Persian Gulf rather than Latin America. There’s just something about Cartagena. From the wrought-iron balconies of colourful buildings, to the men selling lime juice from street carts, the vibe in Cartagena is always exciting. There are numerous bars, restaurants, sights and plazas. The people are upbeat and friendly and the local dishes are delicious. Do not miss Cartagena, there are endless things to do here. Captivating Cartagena: Too Touristy or Justifiably Popular? 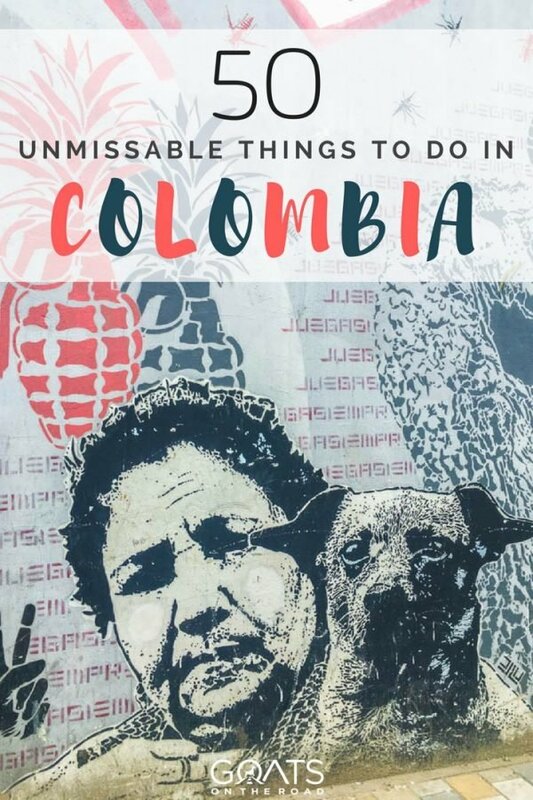 Ready for all of the fun things to do in Colombia?! Do people really say Boñelos ? I live in Medellin for a few years and as far as I know they are usually called Buñuelos or is this something else? Might be that it is a name I just haven’t heard yet. Excellent list. Great pics. We are currently in Colombia and checking off a lot of the items here. Thanks for sharing. I really enjoyed this post. I’m hoping to visit Colombia (Cartagena, Medellin, and Bogota) for 3 weeks. After reading this post, I need to book a ticket today! How would you split your time between the three cities? Hey! What is the name of the beach on number 16? “Carnival is celebrated at different times around the world, with the one in Colombia kicking off in February.” This is so wrong, please get informed, check Wikipedia. You must be from the United States of America to say such a crazy thing and not knowing what Carnival is. Actually, you’re wrong about both things. Carnival is celebrated 4 days before Ash Wednesday. It fluctuates each year. In 2017 (when this article was written), Carnival was celebrated February 25 – 28. In 2018 it was celebrated February 10 – 13, in 2019 it was March 2 – 5, in 2020 it’ll be February 22 – 25, in 2021 it’ll be February 13 – 16. Finally, we aren’t American, we are Canadian.